In November 2014, members of the TRANSFER team were involved in hosting a half-day workshop as part of the ESRC FESTIVAL OF SOCIAL SCIENCE. 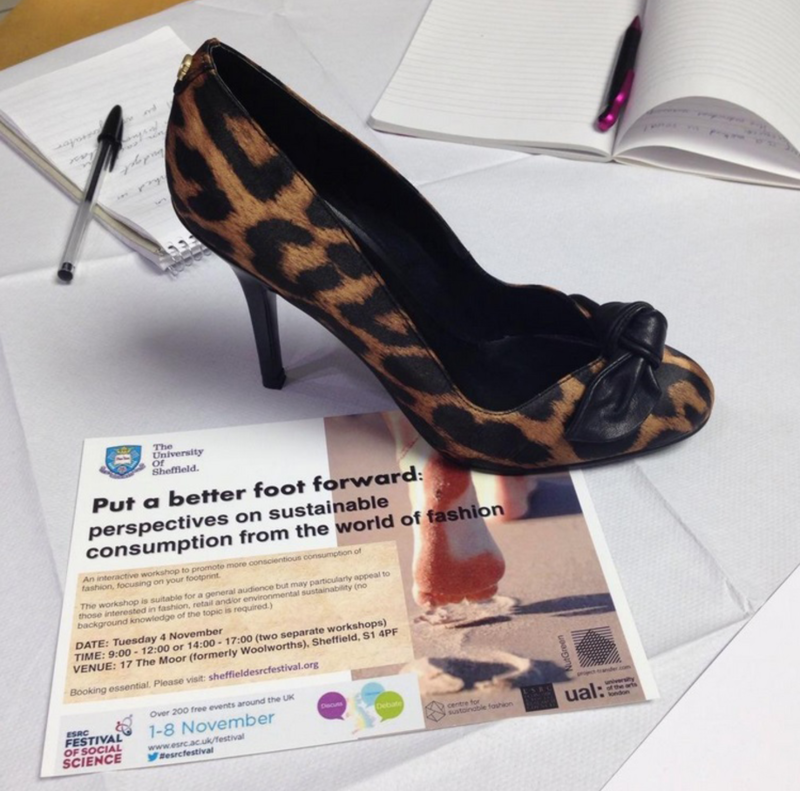 The ‘Put a better foot forward’ workshop was an interactive event designed to promote more conscientious consumption of fashion, focusing on people’s footprints! Building upon the ‘Make It Real’ theme inherent to other aspects of Project TRANSFER, a number of activities were designed to highlight the backstory to where and how shoes are made; and what impact our shoes have upon environmental, economic and social sustainability. 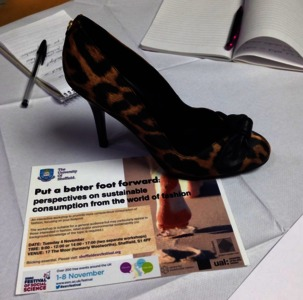 These activities included: A creative thinking exercise where people thought of innovative ways to make more sustainable shoes. Two socio-dramas where people were invited to step into the shoes of people involved in the shoe supply chain. A life-cycle analysis where people were asked to think about the relative impacts of the different parts of the shoe supply chain. The workshop was designed and run with the help of Teo Greenstreet and Nick Nuttgens and was held at a former Woolworths store on The Moor in the centre of Sheffield. This store is now being used to host a series of cultural events designed to encourage shoppers back to the high street through the provision of non-retail events and activities.